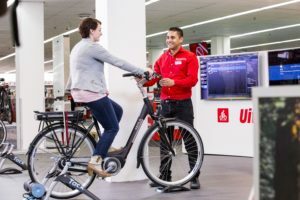 SOLOTHURN, Switzerland – While the total number of bikes sold in Switzerland last year decreased by 1% to 323,059 units, the e-bike market continues to grow. In 2015 the volume increased 15%. Every fifth bicycle sold in Switzerland is now an e-bike. Amazingly city bikes meanwhile have not lost a significant market share, only the standard mountain bike faced a decline in sales. The e-bike continues to fly high in Switzerland. Ten years ago they made up just 1% of the market with 3,000 units. In 2015 66,332 e-bikes were sold according to the statistics of the industry association velosuisse. Thanks to the additional increase of almost 3% the 20% mark was exceeded for the first time. This puts the e-bike’s market share in Switzerland just between Germany (12.5%) and the Netherlands (28%). The same applies to last year’s growth rate of e-bikes by 15%. In Germany sales increased by 11.5%, in the Netherlands by 24%. Still unparalleled, with 26%, is the market share of speed-pedelecs in Switzerland. Surprisingly almost half of the e-mountain bikes sold in Switzerland or 9,410 units, are categorized as speed-pedelecs. Last year this category was accounted for separately in the statistics of the industry association for the first time. 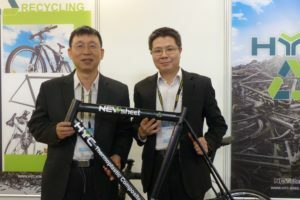 The total number of e-mountain bikes distributed on the Swiss market was 19,687 units. 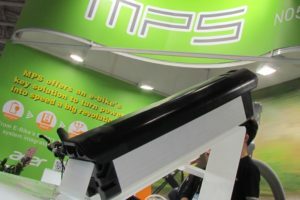 The leading MTB dealers have no explanation for the popularity of speed-pedelecs as they have to be registered as a moped in Switzerland. As such they are prohibited from forest and hiking trails and were considered almost unsaleable. 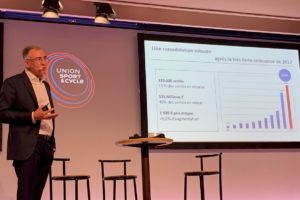 They also wondered that e-mountain bikes already account for almost 30% of all e-bikes sold as shown by these statistics. Not surprisingly the market for standard MTBs declined by almost 5,000 units. In total, with or without motor, slightly more MTBs were sold, or 131,931 units. 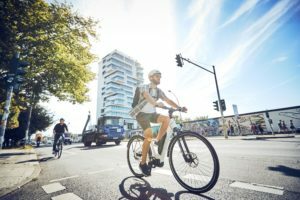 The ‘standard’ city bike with full gear could maintain its position as the second most important segment just after the e-bikes. The total market volume increased slightly, by 1.4% to 69,573 bicycles. With lower weight and attractive pricing on one hand and popularity through lifestyle marketing, whether it’s nostalgia or purism, the city bike still finds a steady market. After three years of slight decline, the market for road race bikes rose again, by 1.3% to 15,816 units. According to the latest statistics the IBDs enjoyed a growing market share for the fourth consecutive year. In 2015 67.9% of all bicycles were sold via IBDs, compared to 66.5% in 2014. Retail chains and specialty markets saw their market slowing down. Despite the relatively big market share, the bicycles shops should not feel too comfortable. The increasing sales of online shops and drop shipments by companies like Rose and Canyon, as well as parallel and private imports are not included in the velosuisse statistics. When taking these into account the trend could well reverse, to the disadvantage of the retailers. But as the velosuisse statistics have been based on reports of all members and most of the major distributors for many years it is considered representative, despite some inconsistencies. The impact of the disclosure of the minimum exchange rate of the Swiss National Bank at the beginning of 2015 was less disruptive than expected. Manufacturers, importers and retailers responded very quickly to this major challenge so it did not result in a sales slump like in 2011.